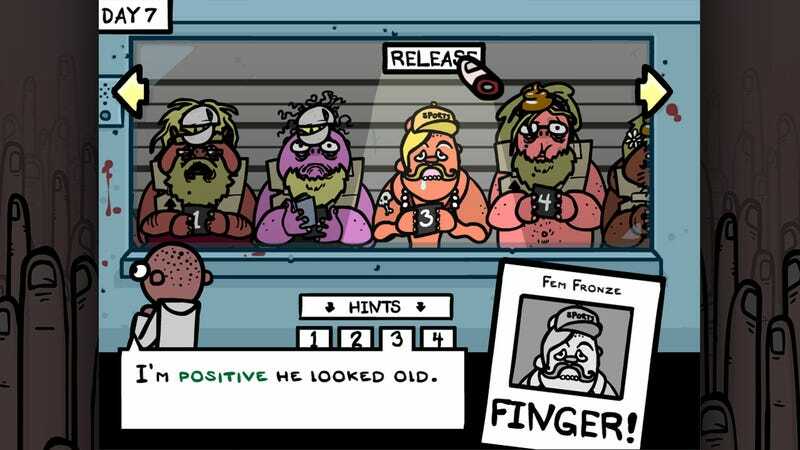 Edmund McMillen is known for games with a twisted sense of humor, but none of them have made me feel as bad for laughing as his latest, Fingered. The premise is simple. There’s a police lineup of bizarre characters being investigated for a crime that’s never disclosed. Murder? Theft? Jaywalking? That’s irrelevant to the matter at hand. Though you have no idea what they’re potentially going to jail for, it’s your job to use the limited amount of information from an eyewitness to determine who’s responsible. If you’re sure who the culprit is, it’s possible to “finger” them right away. But more likely, you’ll start dismissing folks who don’t fit the criteria to make the pool of potential criminals smaller. Once you’re ready to pull the trigger, the game moves onto the next phase. That phase, however, doesn’t involve looking at additional evidence and figuring out what their punishment should be. In Fingered, everything in resolved by death, and you only have one chance to get it right. In this case, I was right and the “guilty man” was put to death. That doesn’t always happen. When this happened the first few times, I laughed, but then I started to feel pretty weird about it. I was killing innocent people. The Binding of Isaac is full of gross-out and subversive humor, but the reason it lands is because some of it’s coming from a real place: it’s a metaphor for being raised in a fundamentalist Christian home. Or, at least, it can be read that way, which is part of what makes McMillen’s approach so successful: he doesn’t beat you over the head with themes. Fingered taps into the churn of the criminal justice system. 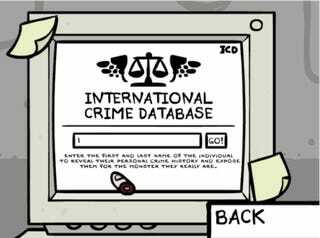 It channels society’s desire to make sure someone is blamed for a crime, the ease at which bias plays into perception, and how fast innocent people can end up behind bars (or worse). But, again, McMillen deploys this over-the-top satire in a way that allows players to distance themselves from what else is going on. You can also look at it as a pretty fun way to waste time. All this and it’s it’s only $1.87! Plus, you can find out what your friends should go to jail for.